Now that a few days of good weather are ahead, why not clean up the mess that Mother Nature made of your yard this winter? You’ve purged the inside of your house of clutter and trash, give your exterior the same treatment! As the sun sheds new light on your house, it’s easier to spot traces of moss and build-up on your siding. Have your home’s siding professionally pressure-treated. Opt for going the green route and choosing a company who uses steam instead of harsh chemicals. Click here for more information. After your house has been cleaned, touch up paint where it has chipped away or worn off. Or, if it’s starting to look like it needs more than a touch-up, look into quotes for getting it painted. If the weather has been awful, then chances are you have sticks and brush lying around the yard. Not only that, but your grass could use a little pick-me-up too. Gather all branches and debris and put them in a pile. If you have a firepit these can make excellent firestarters, but if not, dispose of them in your yard waste bin. 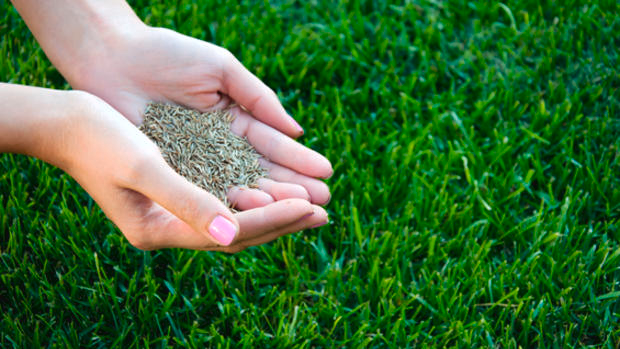 Spread some fertilizer and grass seed on your lawn to wake it up and stimulate growth. The rainy springtime should give it plenty of water but if you live in a dry area, water it nightly. Your flower beds could use a little love. More likely than not, the flowers have died and it is starting to look overgrown. Weed your gardens, taking the time to rake them smooth when you’re done. Spread fresh dirt or bark to spruce up space. Plant colorful flowers and fresh greenery as a finishing touch. Working in the yard is a great way to relax and get back in touch with the earth. Do your part to keep your little area of it fresh and green!